After a record warm September across much of the Midwest, the weather looks to hold its ground with more warm conditions. 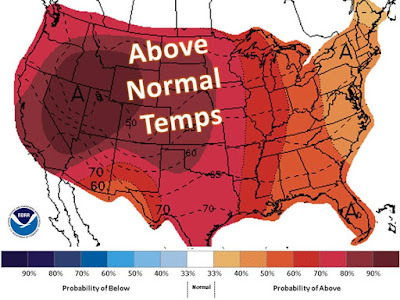 The pattern will set up to favor above normal temperatures through the next couple weeks, as the jet stream will push north into Canada and allow for winds to flow from south to north, bringing in warm weather. Precipitation will generally be limited through mid-October as the sun shine bright as we head into the meat of autumn.